Bounce rate is an important metric while evaluating the effectiveness of a website. It shows the behavior of your customers on your website. Among other metrics such as time spent on website and exit rate, bounce rate also has its importance. It defines how many people found your website interesting. You may want other metrics to increase such as conversion rate, time spent on website, but you would need to reduce bounce rate of your website. Bounce rate is the percentage of people who came to your website and left without doing any action to people who came to your website and performed some action. This action can be visiting other pages or filling up a form or something else as well. In simpler words, it is the percentage of all people who enters and exits on the same page, without any clicks to other pages on your site. High bounce rate means that your website is not interesting or of less value. This is one of the metric which you want to reduce whereas you would want to increase other metrics like conversion rate. 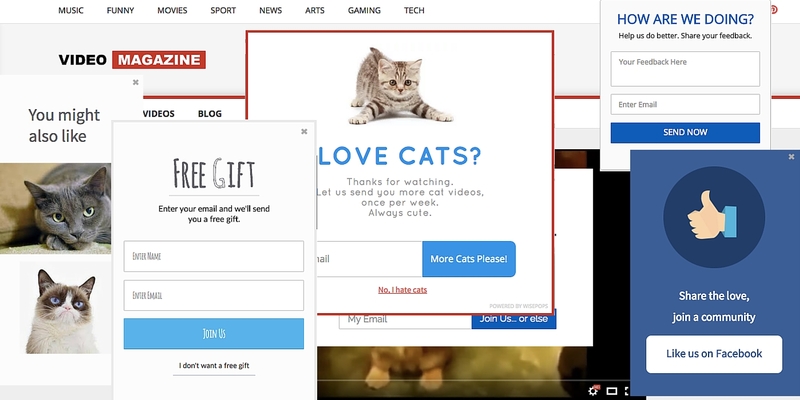 Pop-ups do not have a very positive impression on the users. Instead, people tend to get annoyed by them. In fact according to a study, 70% of Americans say they get annoyed by irrelevant pop-up ads. Once a user is annoyed, he will leave your site immediately making your bounce rate on the higher side and giving you no business or time. Pop-ups have been a debate topic between website owners and marketers from a long time since they are also very good in increasing the subscriber list. If popups are designed properly keeping it in synchronization with brand theme, then they can be very useful. Generally, popups are awful for user experience and should be avoided. With the changing times, the customer want their query to be resolved fast or else they switch. Visitors may get stuck at some place which you didn’t consider while designing or they get confused then they’ll leave if their query does not get resolved. A live chat widget might help you in this case. You can answer all the queries of the customer keeping them engaged to your website and hence providing a better user experience. According to a study, 73% of customers were satisfied with their live chat experience, surpassing all other channels. By comparison, email and phone customer satisfaction rated just 61% and 44% satisfaction, respectively. 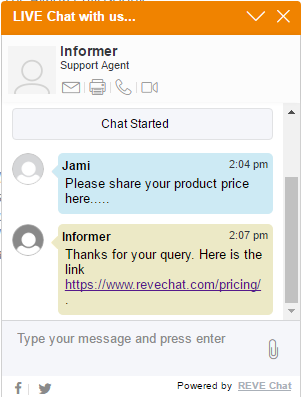 You can use live chat widget on you product pages or check out pages to increase the conversion rate of your website. People do not like to get lost, and when they do not find clear navigation on your website they tend to bounce off. A visitor who has come to your website and consumed the content for which they came, now do not find a proper link to your homepage will move back. So, how would you engage visitors? Make your navigation clear by giving links to your homepage, about page and other important pages. Try to use the copy simple and easy to read. According to a study by Small Biz Trends, around 70% of small business websites belonging to B2B domain lack a clear call-to-action on home page. This is one of the major reasons of having a high bounce rate and low conversion rate. You work hard to write awesome content and work harder to bring people to your website but when they come and do not find a proper CTA, all your work goes in vein. If you want to increase your conversions, then you need to make your Call- To – Action clear and prominent for the visitors. One of the methods for a clear CTA is to make the background color of CTA different from all other colors on the webpage. Suppose your webpage has white background then something in orange will flash out without annoying the customer. A Danish ecommerce website which is car accessories business have increased their conversions by up to 17.18% just by making changes in their CTA. It is a no brainier that consumers hate to wait. They do not want to wait for your webpage to load for more than 3 seconds. According to a study, 40% of people abandon a website that takes more than 3 seconds to load. You do not want your website to be in that category. As you can also notice that every second is important when it comes to online shopping, a 1 second delay in page response can result in a 7% reduction in conversions. If your landing page will load slowly then more people are tend to bounce off. Moreover, page load time also effects your SERP rankings. Google does not support and rank websites which are slow to load, which results in high bounce rate. 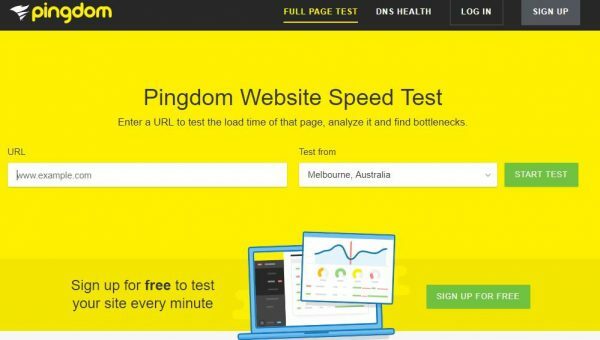 You can test your website speed with Pingdom Website Speed test, an ideal page load time would be 2 seconds or less. This is one of the easiest methods to decrease bounce rate. When you add internal links in your content, people tend to visit other pages as well and hence engagement increases. This helps in lowering the bounce rate of your website. If your answer No, then you need to act fast and make mobile friendly. As almost 95% of your customers are on mobile, so your site must be optimized for them. A holiday portal Alpharooms have managed to reduced their bounce rate on mobile to 35% and double their conversion by making their website mobile friendly. It’s not only users but Google also is supporting mobile friendly feature in the websites. In fact, mobile-friendliness is an important ranking signal by Google. It means that if your website is not mobile-friendly then you won’t rank well on Google search rankings either. You can check if your website is mobile-friendly here Google’s mobile friendly test tool. You’ve seen the methods which have helped many people reduce the bounce rate of your website but they won’t be able to help if you don’t post interesting content. Please do not hesitate to share any method which I may have missed but has worked for you to reduce the bounce rate of your website.